Turn Red Cedar Trees into electricity? The beliefs of one energy consultant suggest there’s too much frack sand available for the country’s oil and gas industry. As a result, frack sand prices could plunge drastically in 2019. Bloomberg News reported the claim comes from industry consultant Rystad Energy AS which predicts that West Texas sand used in hydraulic fracturing will drop 19 percent this year to nearly $30 a ton compared to 2018. No word how much the price drop will affect newly-opened frac mines in Oklahoma. But here’s how Bloomberg reported the prediction. Just a year after rushing into America’s busiest oil field with new mines, frack-sand producers may have overdone it. 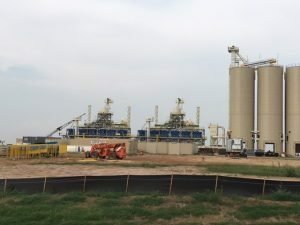 West Texas sand used in the hydraulic fracturing process will drop 19 percent this year to about $30 a ton compared to 2018, according to industry consultant Rystad Energy AS. Sand pricing is a key financial input for oil explorers because fracking is the most expensive phase in drilling an oil well. A slew of new West Texas mines close to Permian Basin drilling sites is elbowing Midwest mines that formerly dominated the frack-sand trade. 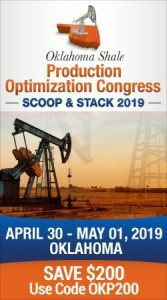 Miners in and around Wisconsin that controlled 75 percent of the market in 2014 will see that diminish to 34 percent in 2020, Ryan Carbrey, Rystad’s senior vice president of shale research, told Petroleum Connection’s Frac Sand Industry Update conference in Houston on Wednesday. The sand oversupply has developed just as demand for fracking is taking a hit from the late-2018 slump in crude prices and more modest exploration programs by oil producers, Mulvehill said. Fracking demand is set to drop 3 percent in 2019, he said. For Wisconsin sand, the price drop will be even more dramatic this year: Rystad is forecasting a 29 percent drop to $25 a ton. Fracking involves blasting high-pressure jets of sand, water and chemicals underground to crack open oil- or natural gas-soaked rocks that don’t respond to traditional drilling methods. Hi-Crush Partners LP, the first to open a mine in West Texas, said Wednesday in announcing fourth-quarter financial results that its Midwest mines felt the biggest pain from the Permian sand boom. And while the Houston company expects more high-cost mines to idle or close throughout the industry because of the heightened competition, it added that the so-called Northern White sand mined in Wisconsin is not dead.